...one of our tests [NCT02692495] was able to clearly separate those groups, bad breath and body odor, based on the intestinal permeability test. Those with increased permeabilidad tended to be exhibiting body odor, and those with decreased [intestinal permeability] compared to normal showed to be exhibiting bad breath. The application for research funding from the U.S. National Institutes of Health (NIH), All of Us Research Program, submitted by Irene Gabashvili, PhD., will be the next research step to the two clinical trials mentioned in her video, which she has carried out with the MEBO Community. Anyone anywhere around the world could vote and comment! The deadline for submitting your vote and comments is February 23, 2018. Consideration for all entries will be discussed at the All of US Research Priorities Workshop on March 21–23, 2018, to identify key research priorities. As MEBO members, you can use MEBO's address information if necessary, including zip code 33175, and remain anonymous. the Functional B vitamins profile. Nineteen posts have been written in this MEBO Blog with discussions of each subject's study test results, under the Label, Biolab Gut Dysbiosis Study. To see all these posts in the blog, it is necessary to scroll down and click on 'Older Posts' at the bottom of the page to go to the following page. This study is designed as a retrospective cohort study to evaluate the potential of diagnostic procedures in defining populations of patients self-reporting unexpected and uncontrollable episodes of body odor and/or halitosis. The cohort - generally healthy individuals who had underwent multiple diagnostic tests recommended by their physicians and had not been diagnosed with any known medical condition - expressed their interest in trying gastrointestinal and nutritional diagnostic tests offered by Biolab Medical Unit. Our retrospective analysis will determine if these tests were useful as potential screening tools for metabolic body odor and halitosis. The investigators would like to evaluate the strength of evidence in diagnostic accuracy of laboratory tests taken by participants (listed in the detailed description of the study), for diagnosing malodor syndromes. Values measured by the laboratory (Biolab Medical Unit) will be compared against the reference range specific to that laboratory. The investigators have comprehensively analyzed diagnostic ability of tests taken by participants to correlate with their symptoms using several statistical techniques known to bring out strong patterns in a dataset. Principal component analysis (PCA) allowed to clearly separate data into two clusters ("Sour" and "Sweet") shown below along with the "Lactic" subgroup from the "Sour" group. Dietary Biomarkers in the Subgroups of Malodor [ Time Frame: Three years ] The measurement of dietary intake by self-report. Correlation of symptoms with added sugar in the diet were noted independently on the source of malodor. 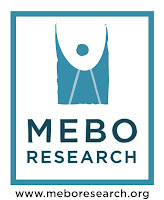 It is MEBO Research's intentions to move forward in research under the leadership of Irene Gabashvili to develop a comprehensive Test Profile for metabolic body odor and halitosis conditions in order for physicians to be able to arrive at precise diagnoses of specific odor conditions, to then research further for precision medicine initiatives as proper and effective treatment for each and all of these conditions. Our most profound gratitude goes to Irene Gabashvili for the countless hours she has volunteered to assist MEBO Research in this and other research trials. Without her dedication to our community, this study would not have been possible. Our gratitude also goes to the 16 volunteers for their personal contribution to this study.